I have been making some version of “Shepherd’s Pie” for ages, but I wanted to try and make something that would be a simple recipe for others to duplicate. This recipe is pretty healthy, has lots of “hidden vegetables”, and tastes absolutely divine… a perfect comfort food dish for those who are just learning to cook and those who are proficient. Brown onion and carrots in coconut oil over medium heat until onions are translucent. I then added the peppers and mushrooms but feel free to use whatever vegetables you have on hand. 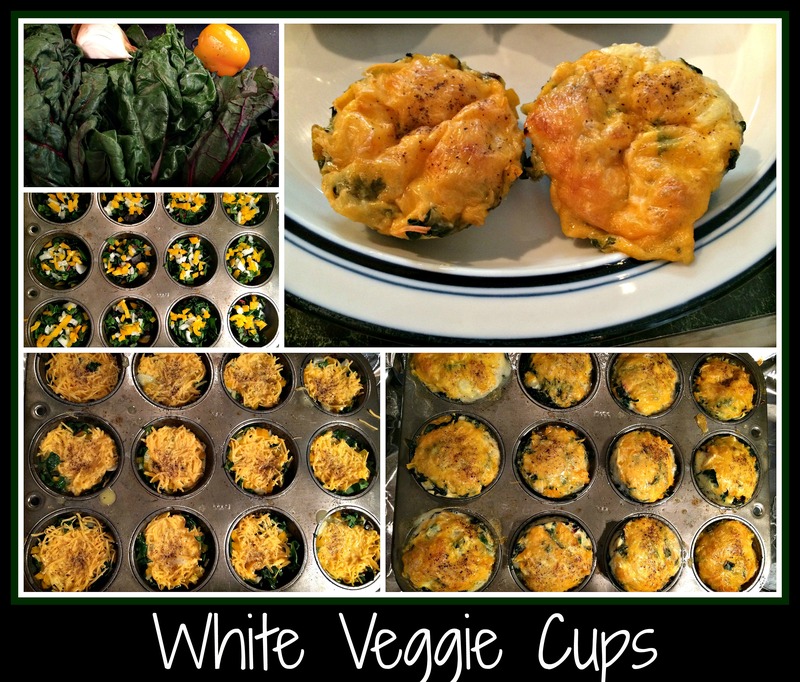 This is a great way to use up things in your fridge! Once veggies are cooked, add the ground turkey and brown thoroughly. I use a potato masher to get all the meat separated so it browns evenly. You’re now going to flavor your dish. I always use red wine when I’m cooking ground turkey – I feel it adds a depth of flavor to the turkey and gives it a more “full” taste. Once the wine was incorporated, I sprinkled granulated garlic, added salt and pepper, and flavored things with the Worcestershire sauce and ketchup. I like to add the ketchup in something like this because it adds a touch of sweetness without getting a cloyingly sweet/sugar taste. When the flavors are balanced, I sprinkled on some flour to thicken the dish and tossed in the frozen peas. Stir all to combine and put into your serving dish. Top your dish with mashed potatoes. I love to use this dish when I have leftover mashed potatoes but it’s not difficult to make a small batch of mashed potatoes if necessary. Bake this dish for 30 minutes, or until hot and bubbly, in a 350 degree oven. I love to serve this with garlic toasts (made from sliced ciabatta rolls, this is a simple side that can add a lot to the meal). 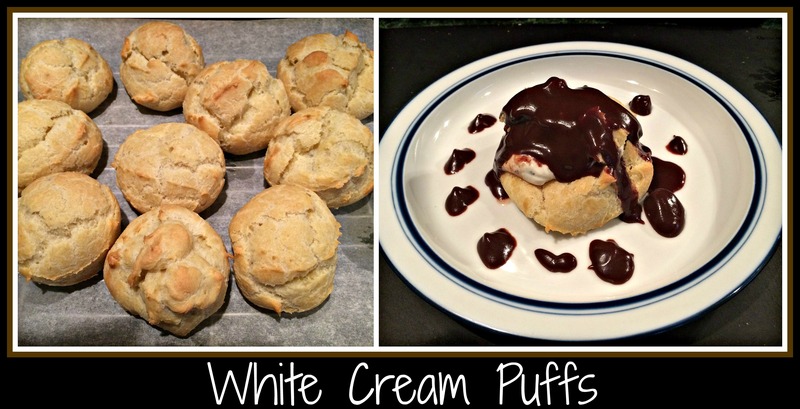 I hope you find this to be an easy recipe that makes your winter a little “warmer”. Comfort food that doesn’t take hours to make is something that makes me very happy! If you have any questions, as always you are welcome to message me and I’ll do my best to help walk you through the process. Cooking should be fun and enjoyable… don’t stress over making it too “perfect”… it’s simply food and you’re feeding the ones you love. 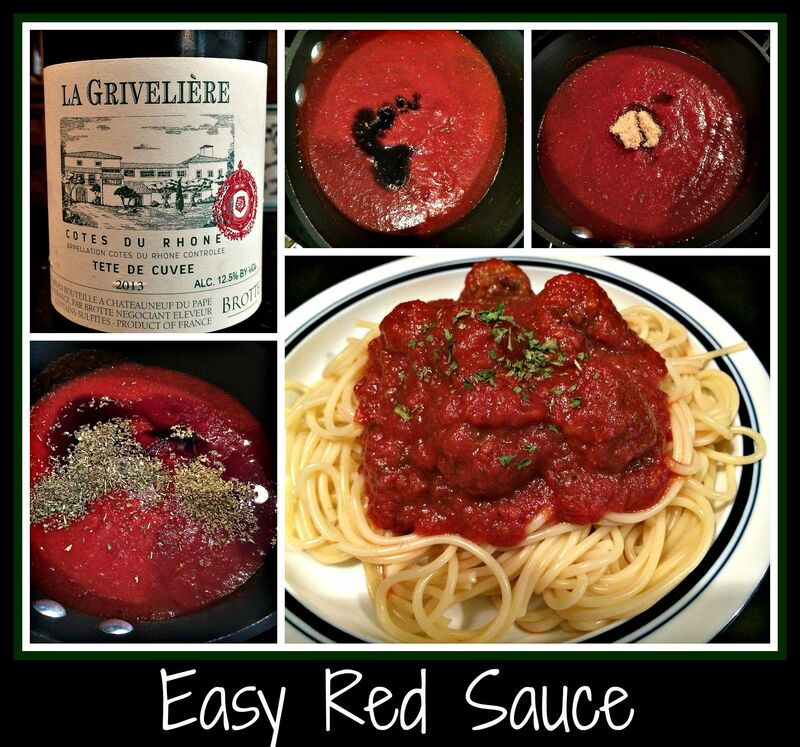 When you’re cooking, it’s always nice to have a great basic recipe for an easy pasta sauce in your arsenal. Something that you can pull together with items from your pantry can make you feel prepared to whip up a great dinner any night of the week. This is that sort of a recipe… it’s foolproof, yet easy to adapt to each family’s favorite tastes, which makes it a perfect “starter recipe” to have on hand. In a medium saucepan, blend the entire can of crushed tomatoes, a thumb-worth of tomato paste, the seasonings and red wine. Once this mixture simmers for a bit, add a bit of the vinegar and the brown sugar… make sure to taste your pasta sauce as it cooks and adjust the seasonings as needed. For the latest dinner, I roasted a few turkey meatballs and added them to the sauce before dinner. I served the meatballs and sauce on a bed of cooked thin spaghetti and it was a huge hit… everyone soaked up the last bits of sauce with pieces of bread, which is a positive sign in our house. Hope you enjoy making this sauce for your own family… feel free to adjust and alter ingredients to make this sauce your own! I’ve been asked to Guest Post on a blog! A few weeks ago, I was approached by a guy named Julien Miquel, who asked if I might be willing to create a recipe for his wine blog, Social Vignerons. I had never been asked to “Guest Post” before, so this was a pretty big thing for me. Couple that with the fact that Julien found me on my Twitter account (@Alisportshots), his blog was recently voted the 2015 Best New Wine Blog, and is a trained wine maker…. this was HUGE to me! 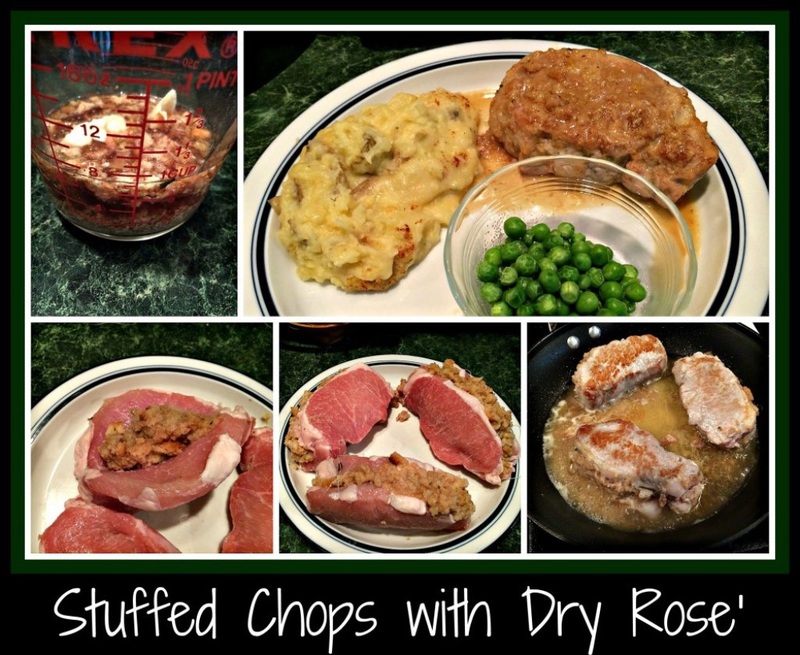 I decided to create Stuffed Pork Chops with Dry Rose’ Wine for his blog. This is one of my favorite recipes but I had never posted it with a Dry Rose’ before… Sharing a special recipe with special people just seemed like the perfect fit. Julien also linked my formally-posted Twice Baked Potatoes recipe on his site, so I hope people find both recipes enjoyable! I do hope that all who read this blog will begin to follow Julien and his wine blog… he offers a new perspective on some old-world expectations. Enjoy!